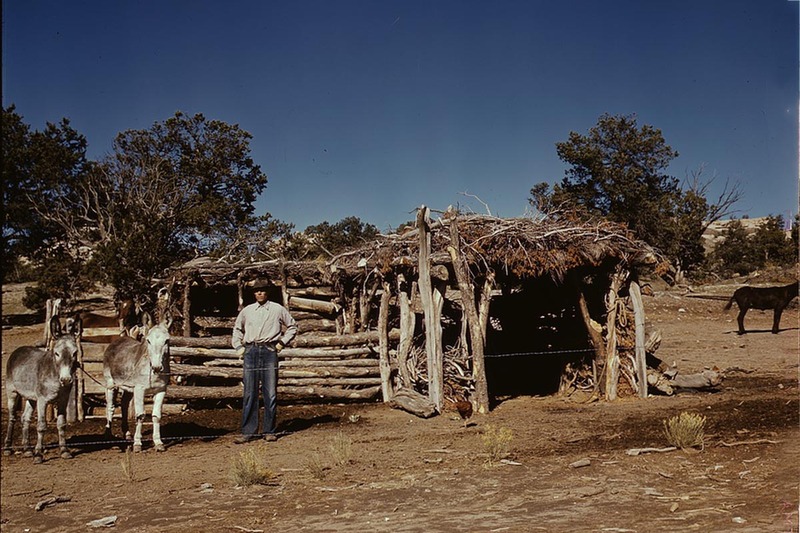 While I'm the first person to build a modern-day house on this particular patch of New Mexico, others have come before me. The ruins of several homesteads can be found in the general vicinity, and I've always wondered about the people who settled this land, then left. Who were they? How did they make a living? How did they survive without the internet? I recently happened upon a treasure trove of information that has helped me answer some of these questions. It's the website for the Bureau of Land Management's General Land Office Records. 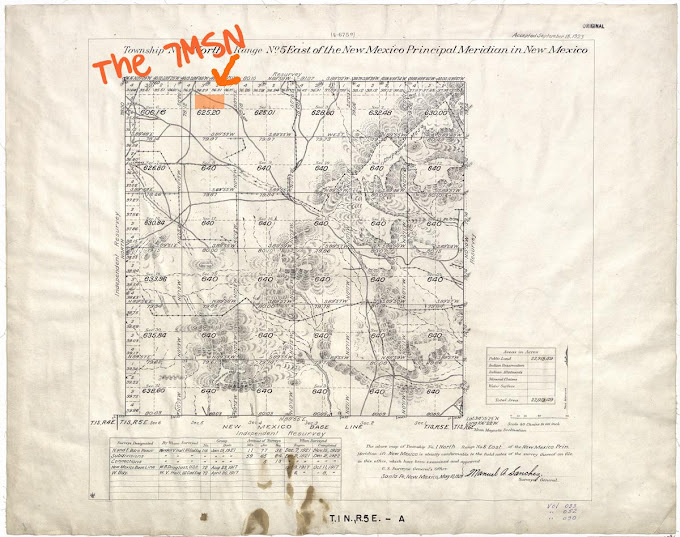 Using their searchable database, I plugged in the location of my land and learned that it was homesteaded in 1929 by John and Irene Garner. This is not them. I wasn't that lucky. 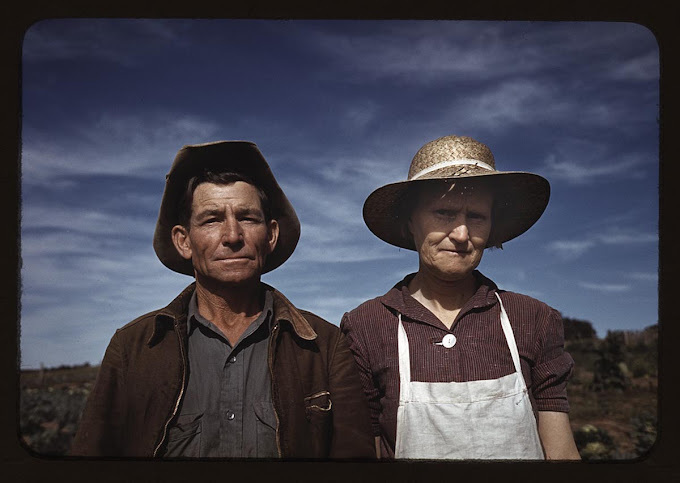 These folks are actually New Mexico homesteaders Jim Norris and his wife, in 1940. In my mind, John and Irene Garner look just like this couple. 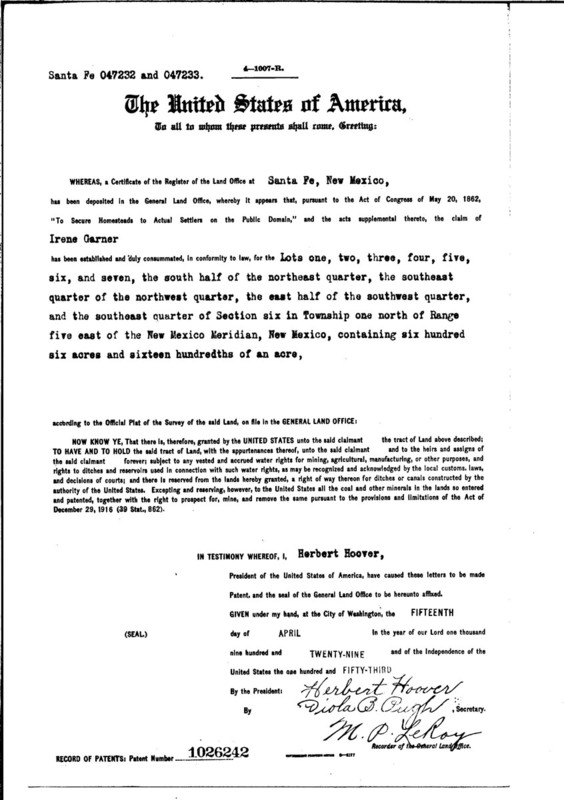 Anyway, I was able to find a copy of the original land patents granted to John and Irene. For the record, the land is still rolling, the soil is still sandy loam and second rate, and there's still dense cedar, pinyon and cactus. We also explored what I believe are the ruins of the Garner homestead. I took some video and will share that later in the week. Meanwhile, here's a picture of a barn at a New Mexico homestead in 1939. ...complete with three donkeys who bear a very strong resemblance to the current inhabitants. This is fascinating stuff, Linda. I'm going to add this kind of research to my to-do list. Thank you for the links. This is fascinating! How did you find the survey caps which look too small to spot and also look as if they would have buried themselves after all these years. Your research must feel like mine when I find a link to my Swedish grandparents and my Italian great grandfather. Exciting and so thought provoking. Are those the mountains behind Alan, or is it a structure? How marvelous, to find all the original information, and then be able to find the survey markers. Maybe ancestory.com would have info about these two pioneers. Good chance that relatives still live nearby. That's pretty neat. I love researching stuff like this and learning the history of the places I live. Must have been a very hard existence back then without modern conveniences. Good sources of information. We have 11 acres in the Smoky Mountains and have found pieces parts of an old still, broken mason jars, lots of barrel hoops, charcoal rubble from the 'cooking'. It would be wonderful to know who the original settlers were. The Ledford family is the go to name in our little town of Cosby, they still own land around us. Back in the day, making 'shine' was about all the locals could do to make money. I feel some research coming my way!! Thanks for the wonderful photos and documents of long ago. That is so cool. In the area where my daughter lives the original owner of the property had 35 acres carved up for what is now I-70. Back in the 1960's you could still ride a horse for miles without hitting fences. I love history and discovering wonderful information about the homesteaders. Oh my stars....how cool is this? 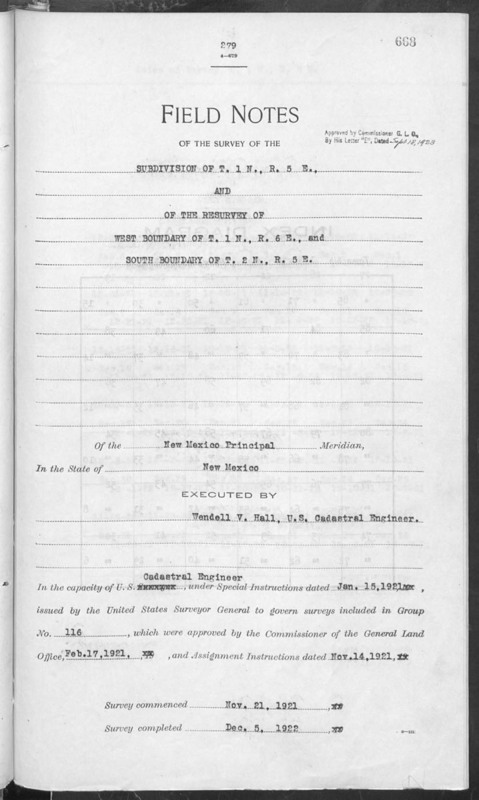 I am enthralled by old patents and land grants and certaily look forward to your videos of your "Nancy Drew" finds. Congrats on the great detective work. And the picture of the barn is so amazing, particularly because of the beautious donkeys. The barn looks very much like one that was erected on my grandfathers ranch in northern NM at the "sheep camp". Linda, I've been researching my family lines this summer. Our son has uncovered a lot of info on my husband's family. 1200 acres...That's a LOT of acres! I just LOVE old photos and family stories! I can't wait for you to share the story of your ranch's lands! Very interesting. I love delving into history and currently am looking for all I can find about Tucson and the region to the southwest of it in the mountains, just above the border. This is really interesting! Thanks for sharing your research. How cool is that?! We get so caught up in "ourselves" that we forget those who lived here before we came along. Very interesting. Thanks for sharing. This is so interesting. John and Irene, 1929, 1236 acres. They must have been thrilled to be landowners but what a tough life. Wouldn't you love to read her diary. Looking forward to the video. Three donkeys??? Is that just incredible. It's like the land has DNA and donkey's are in its DNA. Three to be exact. Fascinating. Fascinating. I second the suggestion to try Ancestry.com to see if you can locate any descendants and maybe even a photo of the real homesteaders. You've inspired me to work on a blog entry about the history where I live - my home is situated on an old copper smelter, where the ore was brought from nearby mountains on narrow-gauge railway tracks over 100 years ago. Terrific research ... made for interesting reading. It was a real step back in history! This is fascinating! How did you find those caps in the ground -- which I assume would be buried by now -- let alone know where to start looking? I'm looking forward to the video. I just love reading about stuff like this. I try to imagine myself working so hard just to make it to the next day, I fear I wouldn't last long. I look forward to the next installments! I love this post. I find the donkeys there then, like your beautiful friends of now, a natural to have in these lands. We live on 10 acres out of 20 left from a land grant of 300 years ago. I am looking forward to the links to used to look our land up. We find the post markers too. 'Off the Map" was filmed out of Taos. the mountain peak in the backgound of their homestead is my very own Flag Mountain out of Questa, New Mexico, just north of Taos. We live under the same one only closer than out on the mesa where the film was shot. My friend is even in the movie. she is the Spanish speaking girlfriend at the end, for George. Very interesting information! I work for a civil engineering and surveying firm and find this all fascinating. 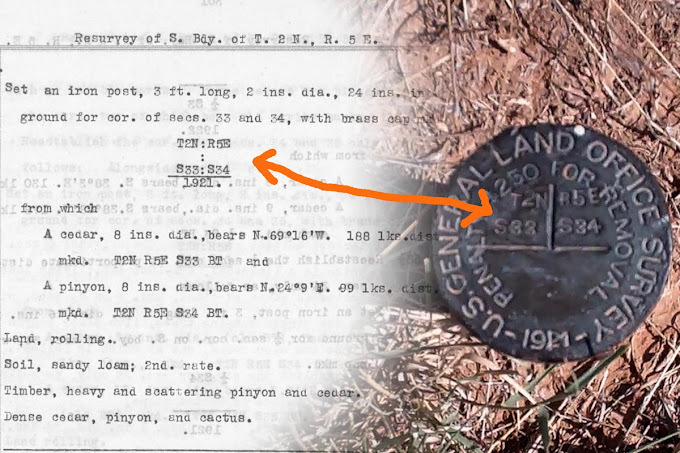 To find the land markers from so long ago is really cool!